CROSSE, Andrew F. ROUND ABOUT THE CARPATHIANS. Edinburgh. William Blackwood & Sons 1878. Half red morocco, the spine elaborately gilt. Cloth sides. viii,375pp. marbled edges. Large folding map of the Banat & Transylvania. 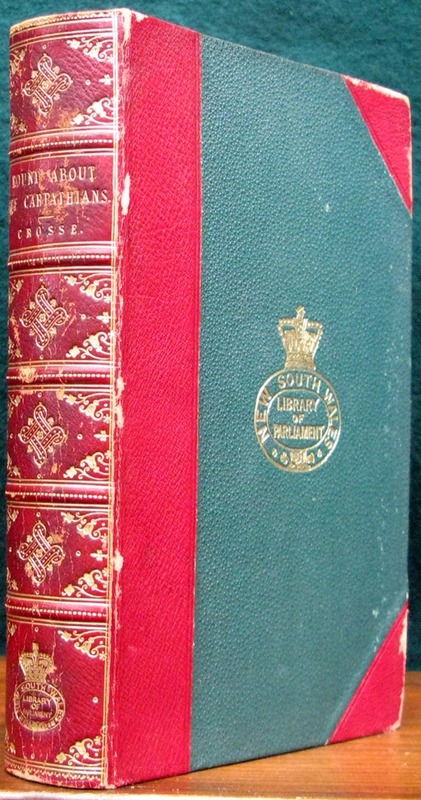 A very good ex-library copy with the gilt stamp of the Library of the NSW Parliament on the front board. Library withdrawal slip tipped onto ffe.1st ed. Scarce. An account of a trip in Hungary and Transylvania in the spring of 1862. FLYNN, Michael. THE SECOND FLEET. 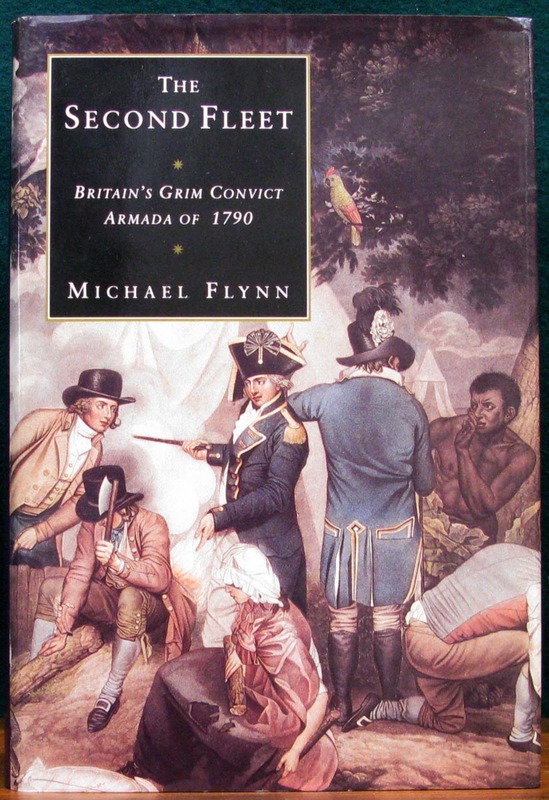 Britain’s Grim Convict Armada of 1790. Syd. LAH. 1993. Or.buckram. Dustjacket. 787pp. b/w frontis. Name on ffe, else Fine. 1st ed. Scarce. Subscriber’s Edition, limited to 1250 numbered copies, of which this is no.20. Includes biographies of more than 1,500 convicts, seaman, soldiers of the NSW Corps, free women & children who sailed with the fleet. This copy inscribed by the author on the title page. 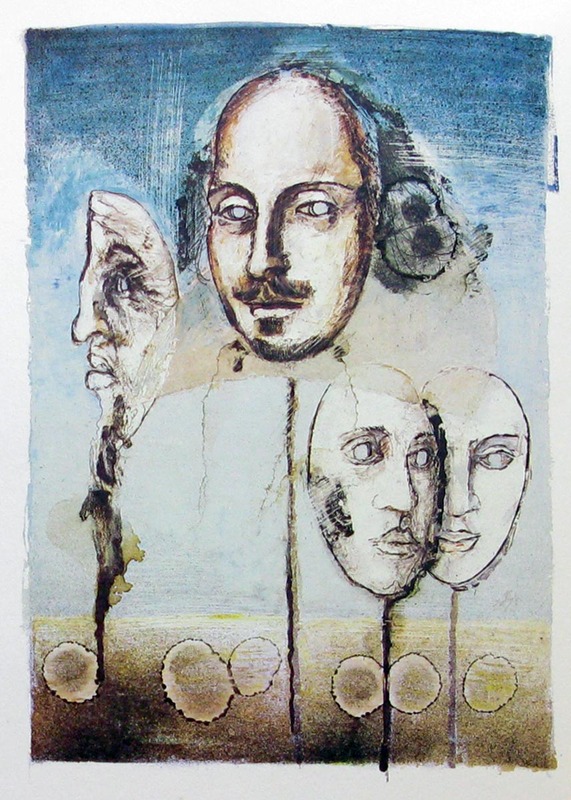 MICHELL, Keith (Illustrator) SHAKESPEARE, William. SONNETS. A Selection. Illustrated by Keith Michell. Foreword by Sir Robert Helpmann. Folio. Full leather with gilt design on front board. 47pp. 12 full-page colour lithographs and other illustrations. Head and tail of spine sl.rubbed else a Fine copy. 1st ed. thus. Scarce. Edition of 500 numbered copies signed by the illustrator. MILTON, John. PARADISE LOST. A Poem in Twelve Books. With PARADISE REGAIN’D. A Poem in Four Books. To which is added Samson Agonistes: and Poems Upon Several Occasions. Birmingham. Printer John Baskerville 1758. Both vols contemporary full mottled calf, rebacked, with a decorative tooled border on the front & back boards. xxviii,416;lxix,390pp. Mottled edges. The corners a little worn else a very good set of the 1st ed. Baskerville edition. Scarce. One of the high points of English literature. In his preface Baskerville spoke of his pride in the printing of these volumes and his desire to print only “. books of consequence, of intrinsic merit, or established reputation..” Scarce. Above items offered subject to prior sale. Postage is extra at cost.